Satellite Launches - Solar System Planets And Moons Section. Weather Satellite Launches After Several Delays. Artist interpretation of the NOAA-18 satellite in orbit. Image credit: NOAA. A weather satellite for the National Oceanic and Atmospheric Administration (NOAA) was launched atop a Boeing Delta II rocket on Thursday, after several days of delays. The Delta II and its NOAA-18 cargo blasted off from Vandenberg Air Force Base in California at 1022 UTC (6:22 am EDT). The satellite separated from its booster approximately 65 minutes later. Flight controllers confirmed that the satellite has entered its proper polar orbit, and deployed its solar array boom and antennas. NASA successfully launched a new environmental satellite today for the National Oceanic and Atmospheric Administration (NOAA). It will improve weather forecasting and monitor environmental events around the world. The NOAA-18 (N) spacecraft lifted off at 6:22 a.m. EDT from Vandenberg Air Force Base, Calif., on a Boeing Delta II 7320-10 expendable launch vehicle. Approximately 65 minutes later, the spacecraft separated from the Delta II second stage. "The satellite is in orbit and all indications are that we have a healthy spacecraft," said Karen Halterman, the NASA Polar-orbiting Operational Environmental satellites (POES) Project Manager, Goddard Space Flight Center (GSFC), Greenbelt, Md. "NASA is proud of our partnership with NOAA in continuing this vital environmental mission," she added. Flight controllers tracked the launch vehicle's progress using real-time telemetry data relayed through NASA's Tracking and Date Relay satellite System (TDRSS) starting about five minutes after launch. Approximately 26 minutes after launch, controllers acquired the spacecraft through the McMurdo Sound ground station, Antarctica, while the spacecraft was still attached to the Delta II. spacecraft separation was monitored by the TDRSS. The solar array boom and antennas were successfully deployed, and the spacecraft was placed in a near-perfect orbit. The satellite was acquired by the NOAA Fairbanks Station, Alaska, 86 minutes after launch and deployments, and a nominal spacecraft power system was confirmed. NOAA-N was renamed NOAA-18 after achieving orbit. NOAA-18 will collect data about the Earth's surface and atmosphere. The data are input to NOAA's long-range climate and seasonal outlooks, including forecasts for El Nino and La Nina. NOAA-18 is the fourth in a series of five Polar-orbiting Operational Environmental satellites with instruments that provide improved imaging and sounding capabilities. NOAA-18 has instruments used in the international Search and Rescue Satellite-Aided Tracking System, called COSPAS-SARSAT, which was established in 1982. NOAA polar-orbiting satellites detect emergency beacon distress signals and relay their location to ground stations, so rescue can be dispatched. SARSAT is credited with saving approximately 5,000 lives in the U.S. and more than 18,000 worldwide. Twenty-one days after spacecraft launch, NASA will transfer operational control of NOAA-18 to NOAA. NASA's comprehensive on-orbit verification period is expected to last approximately 45 days. NOAA manages the POES program and establishes requirements, provides all funding and distributes environmental satellite data for the United States. 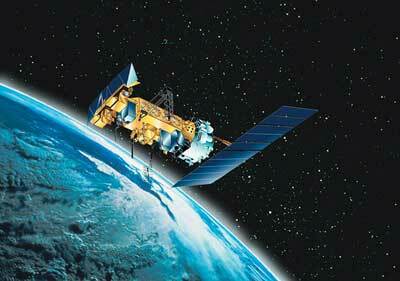 GSFC procures and manages the development and launch of the satellites for NOAA on a cost-reimbursable basis. NASA's Kennedy Space Center, Fla., was responsible for the countdown management and launch of the Delta II, which was provided by Boeing Expendable Launch Systems, Huntington Beach, Calif.